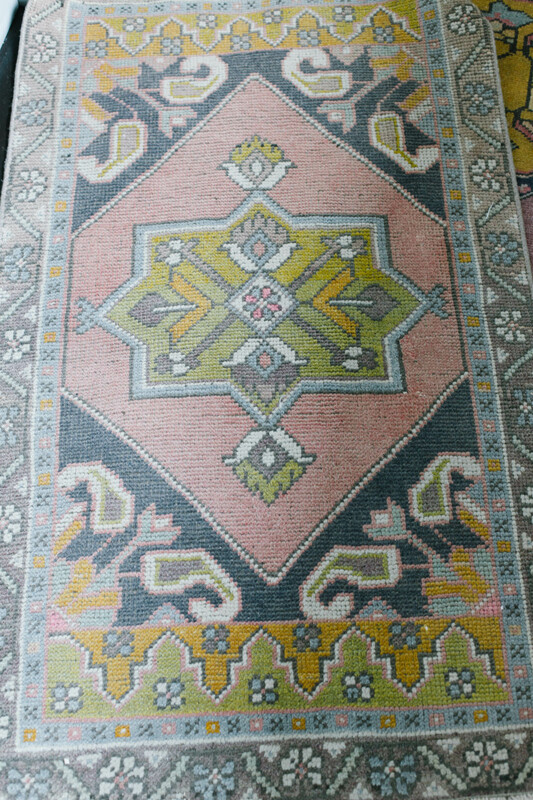 I’m a total sucker for vintage turkish rugs. We currently have three in our home. 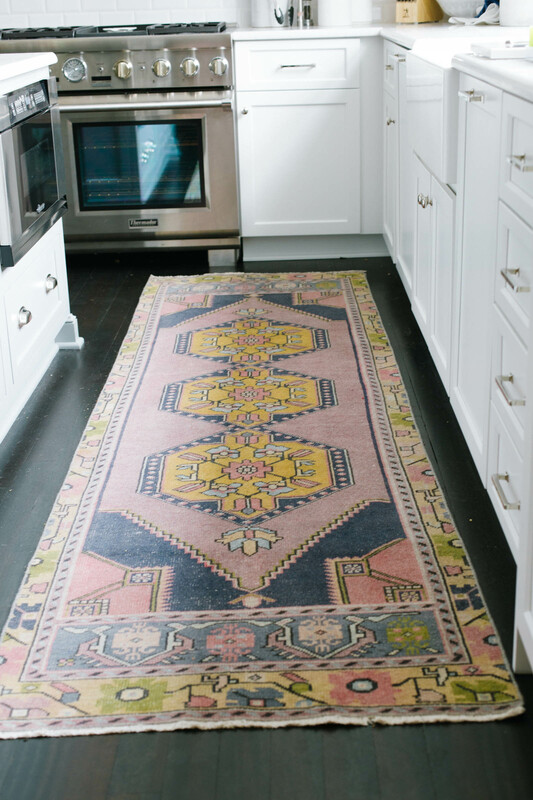 One of the most asked questions I get on the blog is, “Where is your kitchen runner from?” Unfortunately, it was a one-of-a kind find. 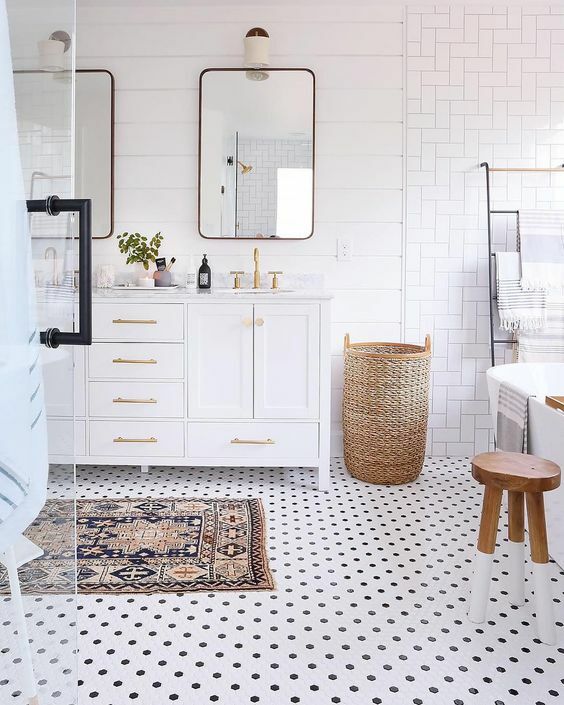 Since no two rugs are alike, I’m sourcing a few of my favorites for you today, as well as sharing inspiration for where they can be used in your home. Kitchen Runner A great way to add a pop of color to an otherwise neutral space. Make sure you purchase a rug pad to put under your rug so it does not slip under foot. Traditional runner sizes include (2.5 x 8 or 12 feet), 2×3, 4×6 and 5×7. Measure before you buy, and keep in mind these vintage rugs most likely will not measure to exact traditional sizes, but will be close. Bathroom / Front Door Rug The above pictured rug is what we have in our downstairs powder room. 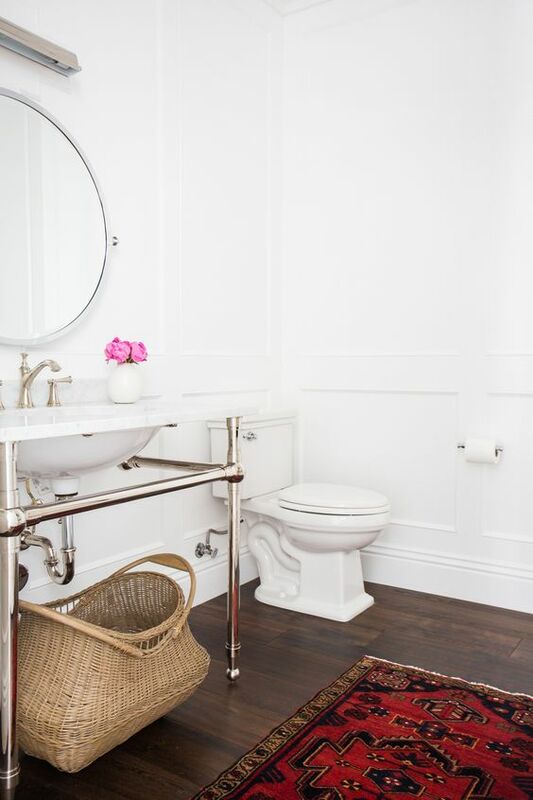 When searching for a smaller carpet look for words like “small rug, mat rug, entrance rug, turkish oushak small rug, entryway rug, welcome rug, and yoga mat.” There’s no exact rule of thumb here. Measure your space accordingly and to help visualize use blue painters tape on the floor. I have found the most luck purchasing off of ETSY. Here is one my favorite shops. Paypal is not an accepted form of payment in Turkey, where most of these sellers ship from. Instead they use Shopier which is similar. Sellers on ETSY usually ship for free and I find you can often negociate with them. Please mention to the shop owners when communicating that I referred you and see if they will offer a discount.